This morning I went to Sydney! Only virtually, though, but still it was an amazing experience as I had a wonderful opportunity to give a presentation on StudentsMeet at a live TeachMeet. There were more than 300 participants, around 40 presenters and lots of enthusiasm and passion. 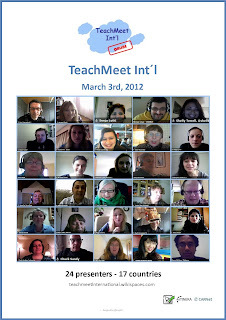 Tomorrow morning, another TeachMeet is going to take place - this one will be held online. 33 presenters from 20 countries have signed up.They're going to talk about the projects they carried out, the ideas that worked, the web tools they used . They too want to share their enthusiasm and passion. 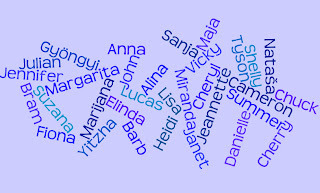 They come from 20 countries from across the world. Join us on this virtual trip around the world and get inspired and motivated by inspiring teachers who dare to teach differently. They're just a click away .